Serve your guests in style or simply use as a decorative accessory. This serving platter comes in the shape of a fish and adds a nautical seaside theme to your decor. 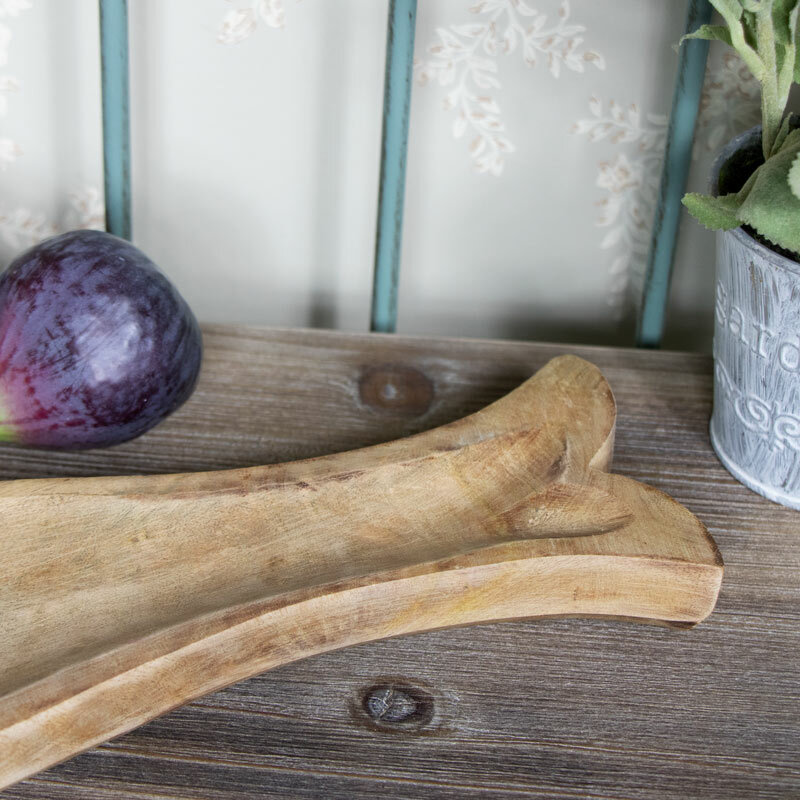 Cleverly carved from natural mango wood, this tray is a wonderfully decorative accessory to your home and kitchen. Use as a serving tray for dips, chips and tasty treats or simply as a storage tray for somewhere to place your keys. A very decorative and creative appearance this little tray will make a great gift idea. Serve your guests in style or simply use as a decorative accessory. This serving platter comes in the shape of a fish and adds a nautical seaside theme to your decor. Cleverly carved from natural mango wood, this tray is a wonderfully decorative accessory to your home and kitchen. Use as a serving tray for dips, chips and tasty treats or simply as a storage tray for somewhere to place your keys. A very decorative and creative appearance this little tray will make a great gift idea. Made from natural mango wood and carved into the shape of a fish. 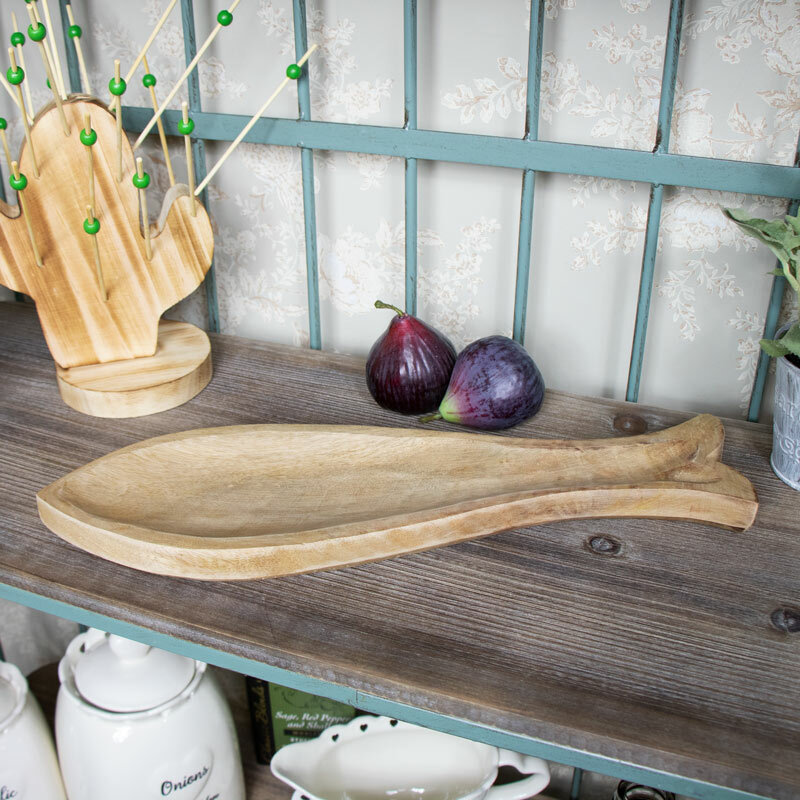 This serving tray is a great addition to our range of kitchen accessories. Serve your guests in style or simply use as a decorative accessory.